I tell my son to go to his room. Instead of walking down the hall, he stands rooted to the ground, yelling that he won’t go. When I turn to walk away, he rushes at me, grabbing my arms and trying to force me to look at him. Welcome to the world of parenting a defiant child. Do you have a child that seems to enjoy resisting your parental authority? Does he seem to do the exact opposite of what he’s told – almost every single time? Does it appear that she likes to see you get upset? One of our children, who shall remain nameless, tends to be defiant. I can vouch for the fact that it tests every moral fiber a parent has. But we’ve found that one of the best methods for approaching defiance in our children is by showing them love. It really works! 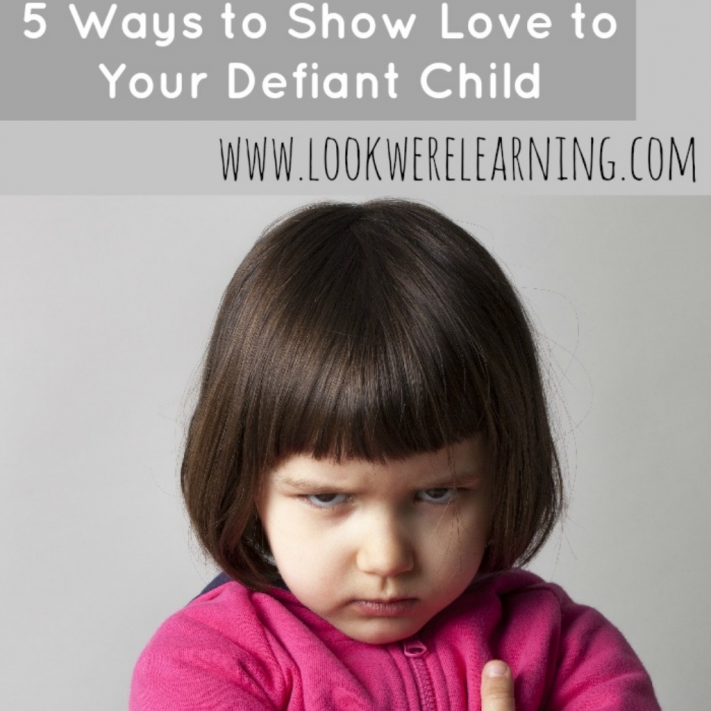 So, here are 5 ways to show love to your defiant child. If you’re at your wit’s end, these tips may help you reconnect with your child, even when he or she is defiant. 1. Try to understand his frustration. 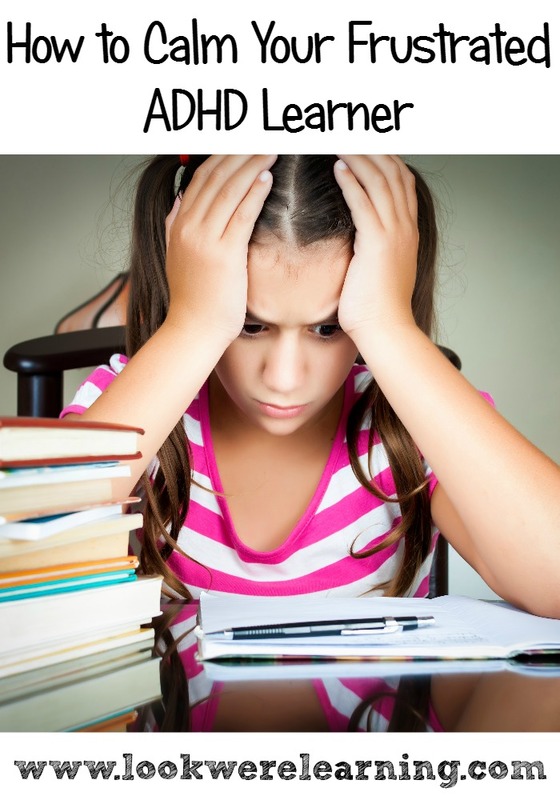 Sometimes a child who appears to be defiant may be experiencing extreme frustration. Your challenge is to find out why. Before you ask questions (see tip #3), try to understand what may be happening. Is he upset with a sibling? Could he feel that a situation is unfair? Is he exhausted, hungry, or disappointed? Trying to see things from his standpoint can give you a lot of insight into his behavior. Physical affection (in moderate amounts) can be a simple way to defuse a defiant outburst. Simply placing your hand on your child’s shoulder, back, or cheek may be calming, especially if she has under-responsive SPD or ADHD. If your child allows, gently pull her closer to you and give her a firm hug. Be careful not to force physical affection, though. If your child resists or pulls away from contact, give her time and space. 4. Devote special time to her. Children who behave in a defiant manner may feel misunderstood or unappreciated. Setting aside one-on-one time to spend with them can help them to feel accepted. When my defiant child felt bad about himself, he tended to isolate himself from the rest of us: shutting down, refusing to talk or play with his siblings, or intentionally misbehaving. But when I scheduled a special time for the two of us to spend together, his defiant behavior calmed down considerably. He looked forward to reading and playing together and it gave him something special to talk about with his siblings later on. Sometimes, though, the best way to show love to your defiant child is to say absolutely nothing. If he is having a severe meltdown, you might just have to wait it out. Go about your normal duties, but try to stay nearby where he can see you. If you walk away, he might feel neglected and try to come up with ways to “force” you to pay attention to him (acting out, throwing a tantrum, etc.). Trust me: I know that walking away does not work. 3. 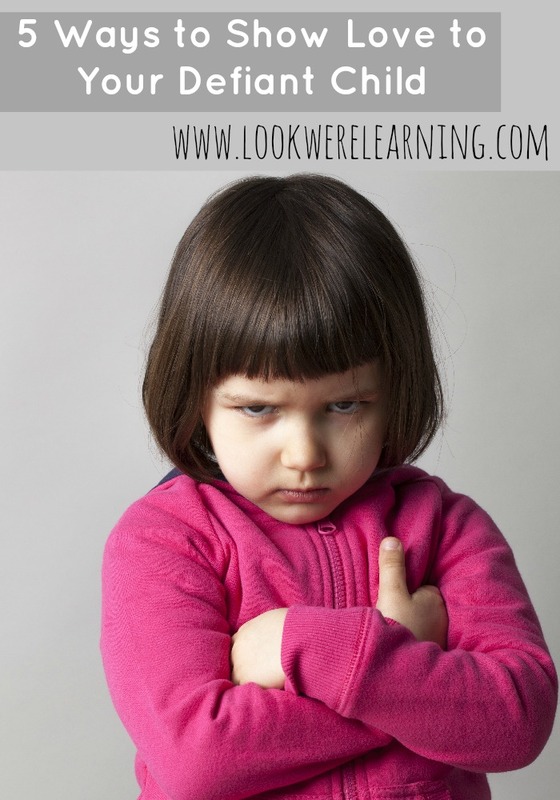 Your Defiant Child: Eight Steps to Better Behavior – Russell A. Barkley, Ph.D.
4. The Explosive Child – Ross W. Greene, Ph.D. Parenting a defiant child is difficult, extremely difficult. But when we just try to show love to them, even when they’re defiant, we can make a huge difference in their behavior and their self-esteem. Oh – and remember when my son rushed at me, trying to force me to look at him? You know what I did? I looked at him and I asked him if he wanted to tell me why he was upset. Then I hugged him. You know what he did? He hugged me back and started to cry. Then he started to talk and I listened. And suddenly, he didn’t seem quite so defiant anymore. 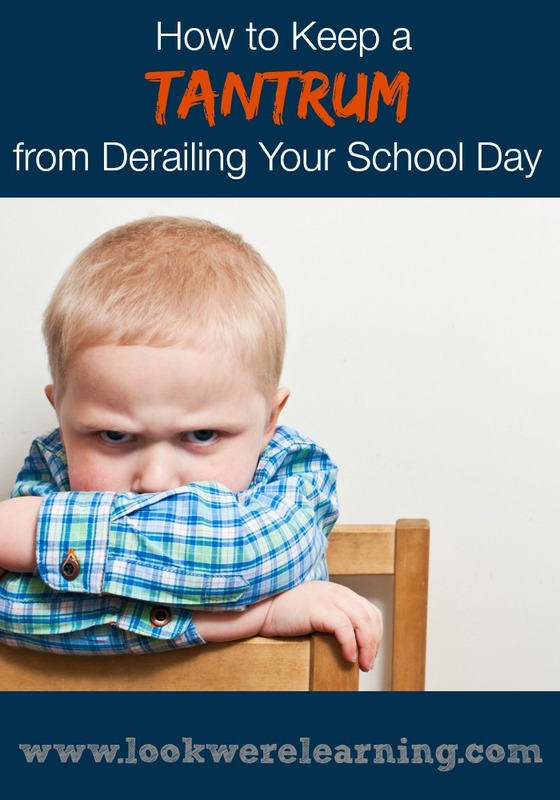 Are you parenting a defiant child? What have you found to be helpful? Share your tips in the comments! And be sure to read these other parenting posts! For more parenting encouragement, follow our board “Parenting with Joy” on Pinterest! What a good reminder! It is so easy to take their defiance personally and react. I appreciate the reminders you’ve shared. The struggle is real! I have a few of these 😉 Thanks for this post. Good one to share! We are raising one very defiant child. It can be frustrating at time, and sometimes the best thing it to let them calm down. 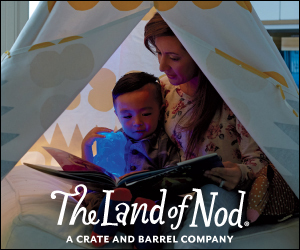 Our child is mostly when tired and hungry, so we try to avoid those situations. These are great tips! I don’t consider my daughter defiant, but she has her moments. It seems that the more frustrated I get, the worse her behavior becomes, so I try to stay calm and not be reactive. I won’t pretend that I always succeed, but when I do I see a big difference. Thanks for sharing at the Thoughtful Spot! Yes! It’s as if our kids sense our frustration and then respond in kind. It’s so difficult to keep it together, but it’s definitely worth it. Thanks for stopping by! An absolutely amazing book I read about strong willed kids is You Can’t Make Me (But I Can Be Persuaded) by Cynthis Ulrich Tobias. Thanks for this suggestion! I’ll definitely check that out! Hey Bethany! We have a 2yo who’ll be 3 next month and…oh my goodness, she’s become super strong-willed overnight! This is our fourth, so we’ve been here before, but it’s still a challenge…lol. Thank you so much for linking up with us on the Hip Homeschool Hop last week! I truly did enjoy your article and appreciate your sharing it with us.